Alcohol-related crashes in Hernando County were down last year, compared to the previous year, according to recent reports. In 2014, there were 93 alcohol-related crashes, a decrease of 24 from 2013. The decrease in alcohol-related injury crashes was even more substantial: 37 from 68. There were five fatal alcohol-related fatal crashes in 2014 and four in 2013. Alcohol-related pedestrian collisions dropped from 11 to nine. Alcohol-related motorcycle crashes increased – from eight to nine. In total, there were 59 less people injured or killed in alcohol-related crashes in 2014 compared to the previous year. That was a 28 percent decrease. 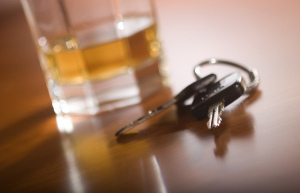 Hernando County drunk driving accidents are usually complex cases. The best thing you can do following a collision is to consult with a Hernando County Auto Accident Lawyer at Whittel & Melton. By involving us at the earliest stage of a motor vehicle accident, you can make sure the physical, emotional and financial well-being of you and your family is protected. In many DUI accident cases, the at-fault drivers lack insurance or do not have adequate insurance to compensate victims for medical expenses, lost wages, pain and suffering and other damages. Insurance companies know the tremendous liability that results when one of their insured drivers is accused of causing a serious or fatal drunk driving accident. Insurance adjusters will often try to limit liability immediately. This may mean that they offer to settle your case for what they claim is the maximum amount available under the policy, when in reality the settlement being offered is extremely low and not all near what is fair. If you or a loved one has been the victim of a Hernando County drunk driver, please call a Hernando County Auto Accident Lawyer at Whittel & Melton as soon as possible at 352-666-2121 or contact us online. We will meet with you free of charge at our office or even at your home or in the hospital.